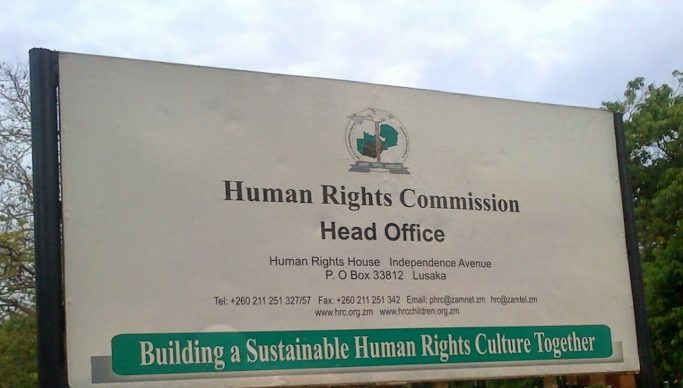 THE Human Rights Commission (HRC) has called for continued restraint by stakeholders in the Bahati and Roan constituencies by-elections from interfering with the right of the electorate to vote for candidates of their own choice tomorrow. HRC spokesperson Mweelwa Muleya said the rights body had observed that the campaigns in Roan and Bahati Constituencies had been generally peaceful after been on the ground monitoring the election campaigns. “The Zambia Police Service has respected the Right to Freedom of Assembly and professionally played its role of maintaining law and order in line with their constitutional and legal obligations and mandates,” Muleya said. He stated that the Commission had noted with a sense of encouragement that the police refrained from the bad practice of imposing total restrictions to the right of the opposition to conduct meetings whenever either the Republican or the Vice Republican Presidents were in an area. “To this effect, the Commission commends the Republican President, the Vice Republican President, all participating political party leaders and their supporters as well as the police for adhering to the provisions of the Public Order Act and the internationally agreed best principles and practices of managing public assemblies,” he said. He indicated that one of the best practices in facilitating peaceful campaigns in Roan and Bahati constituencies had been the facilitation of political dialogue by the police and the Electoral Commission of Zambia (ECZ) to either prevent or resolve any emerging or potential conflict in the campaign schedules and the willingness by political parties to respect the law. Muleya added that the peaceful campaigns further confirm the fact that fundamental democratic principles of non-violence, co-existence, tolerance, mutual respect and respect for human rights and freedoms as required in a multi-party democracy and pluralistic society, were possible in Zambia. “The Commission is therefore calling on everyone to continue restraining themselves from engaging in unlawful activities that have the potential to undermine the prevailing peaceful campaigns and the right of the electorate to vote for their preferred candidates on 11th April 2019,” he said. He disclosed that the ECZ had informed the Commission that they were on course in facilitating the right to vote in accordance with the law. “The Commission will continue observing the election campaigns and the voting process and report on its findings in line with its constitutional mandate of ensuring that the rights and freedoms of everyone in Zambia are promoted and protected,” he said.